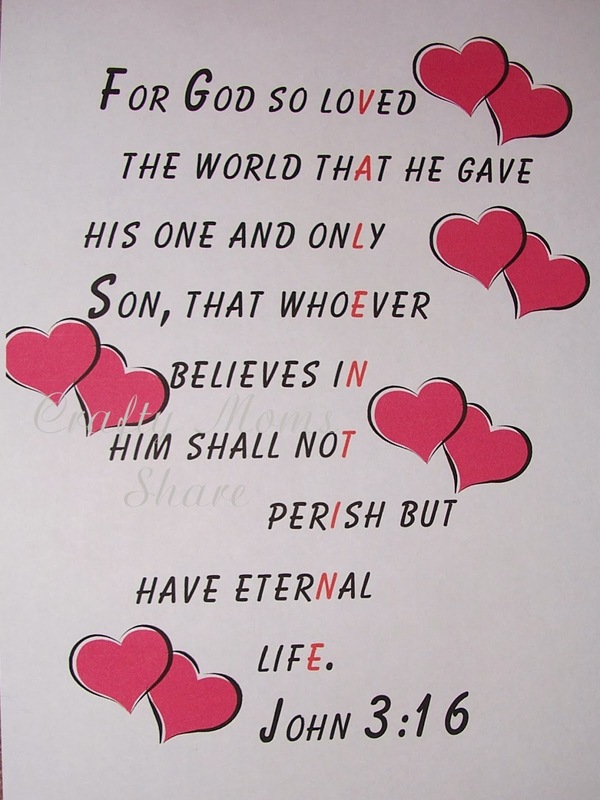 Have you seen all the wonderful Valentine's Day crafts that involve John 3:16? I love them!! Oriental Trading has a kit to make 12. 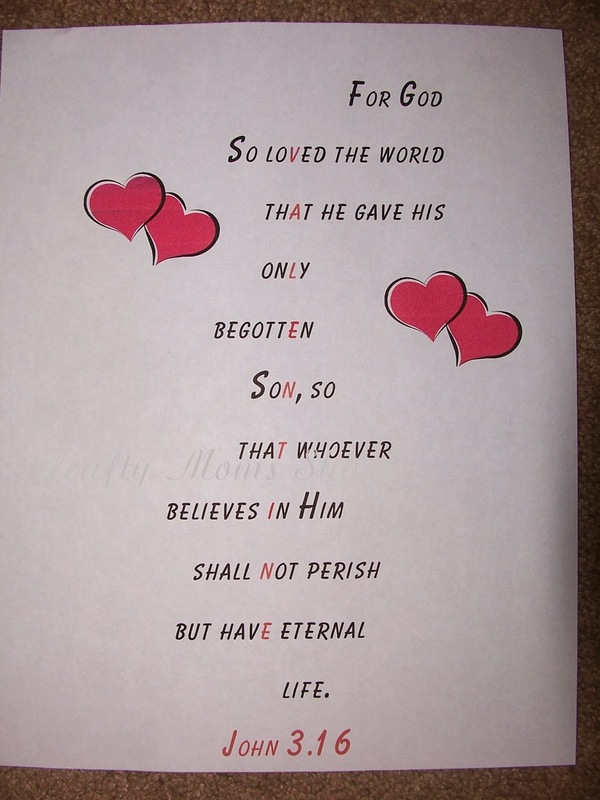 I love the craft one on Catholic Icing: John 3:16 Valentine Craft. When Hazel can write better we will be doing this. 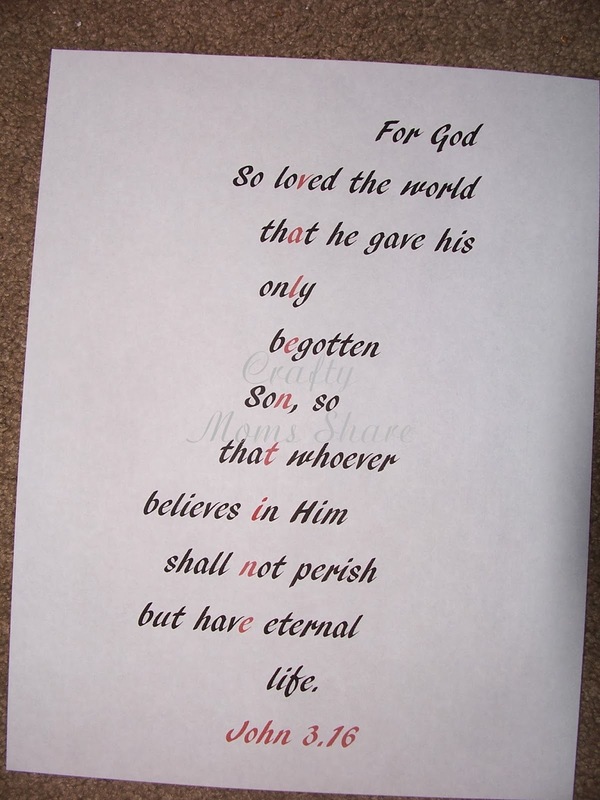 A few years ago I did a couple of printables of it in different fonts. Click on the picture to get each one. Then this year forgetting I had done the other year and once realizing it knowing I wanted a different Bible version than the one I used I made another one this year. 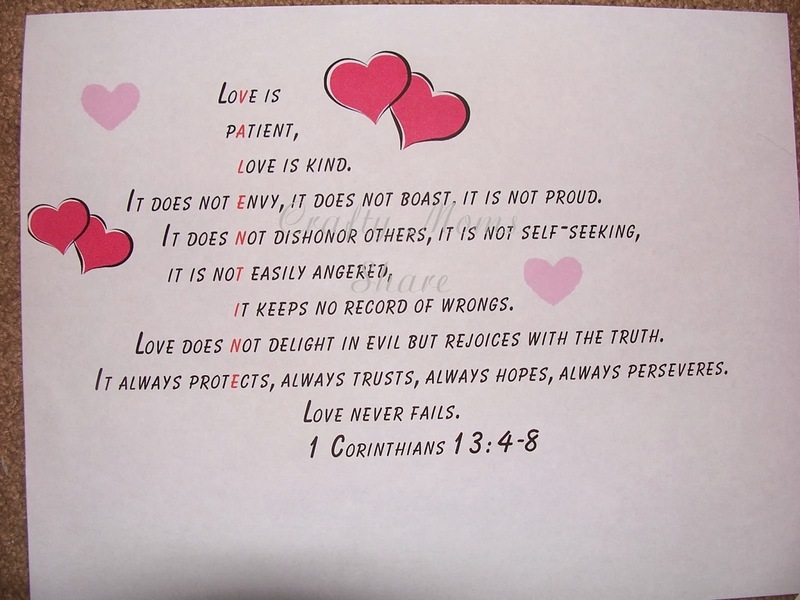 Then after doing the heart peacock craft with 1 Corinthians 13:4-8, I decided to make one using that verse since it is so often used at weddings and is about love. 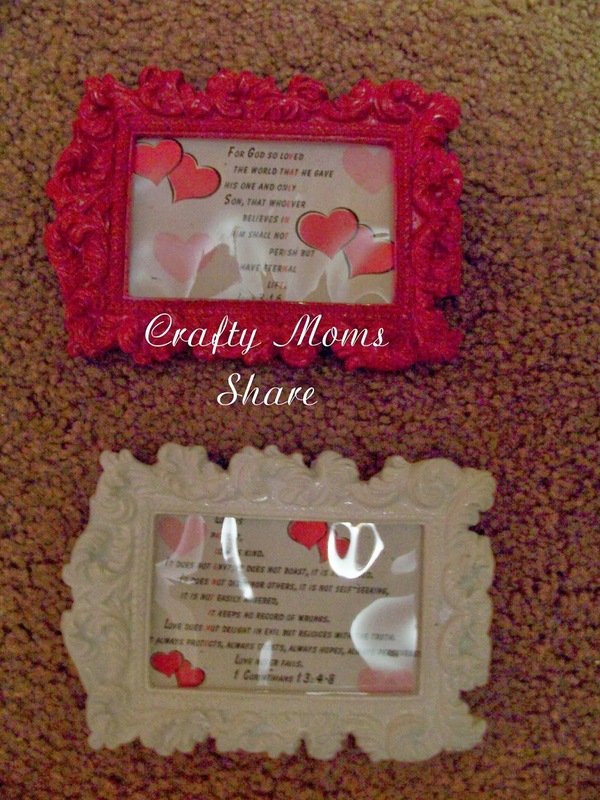 Then I made them both smaller to fit in the little frames I picked up at Michaels when they went on clearance. I love that we can keep them out all year. I know the frames are meant to be vertical, but I already had them. 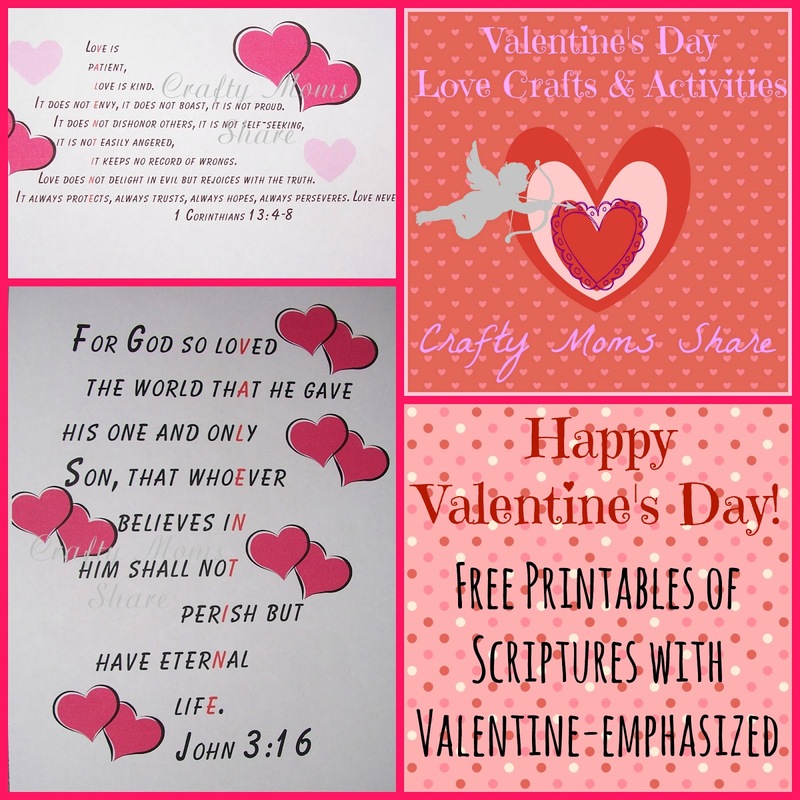 Click any of the pictures to get that printable!